Cardonald - Glasgow, Scotland. 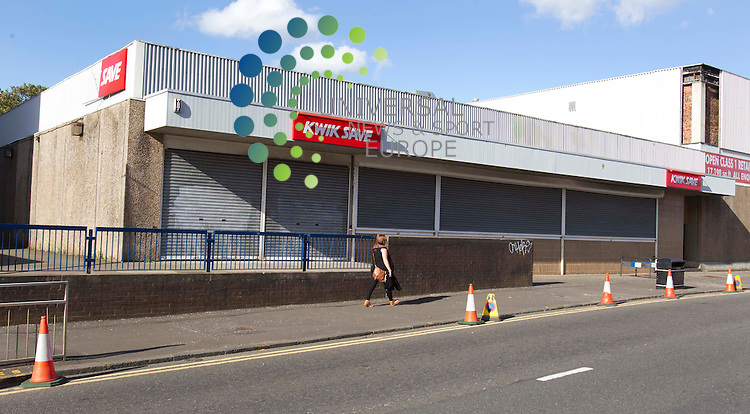 The general view of super market set in Cardonald as filming continues on World War Z in Glasgow..Picture: Maurice McDonald/Universal News And Sport (Scotland). 20 August 2011. www.unpixs.com.. Copyright For editorial use only. Additional clearance required for commercial or promotional use. Images may not be altered or modified.